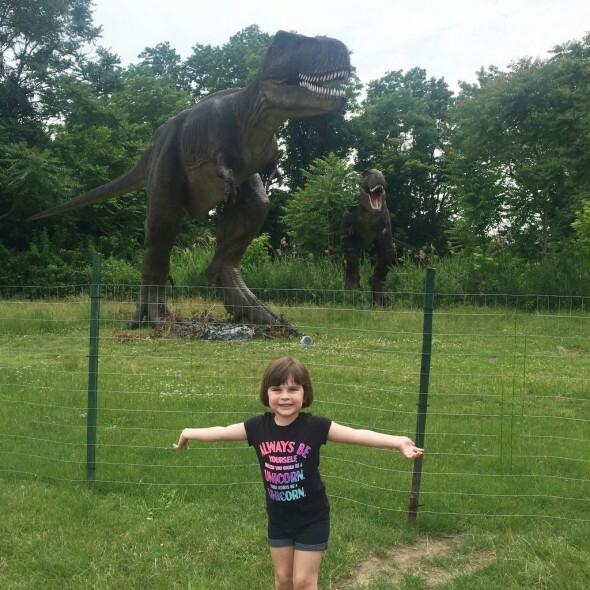 I took H to Field Station: Dinosaurs last summer because it was scheduled to close at the end of the season. But, surprise! 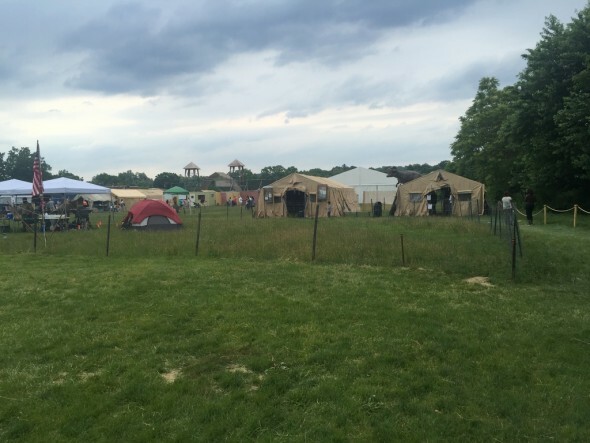 It’s been reopened temporarily in Overpeck Park in Bergen County. And I’ve heard that there are plans to eventually move it to a new, permanent location. 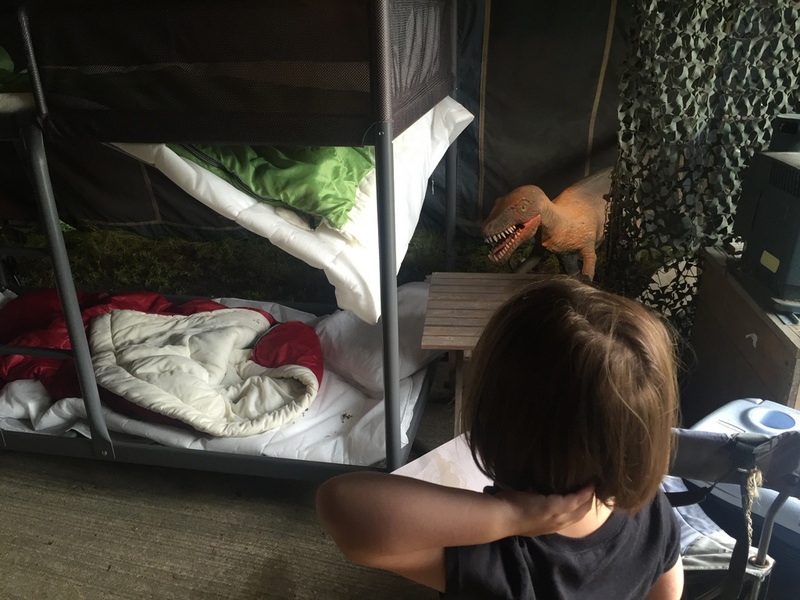 Last year H was a little suspicious of all those dinosaurs. This year, she was loving it. 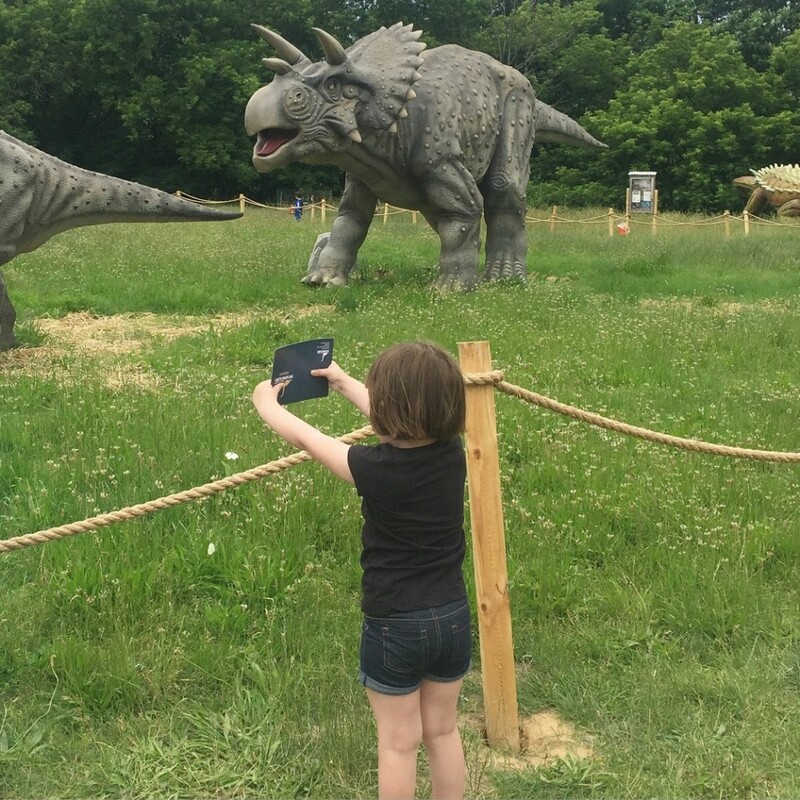 Last year she was all about cowgirls and cowboys, and this year she is just wild about dinosaurs. The new space is a big open field with dinosaurs all the way around the perimeter, as opposed to the cool (and slightly creepy) old tree-lined path. 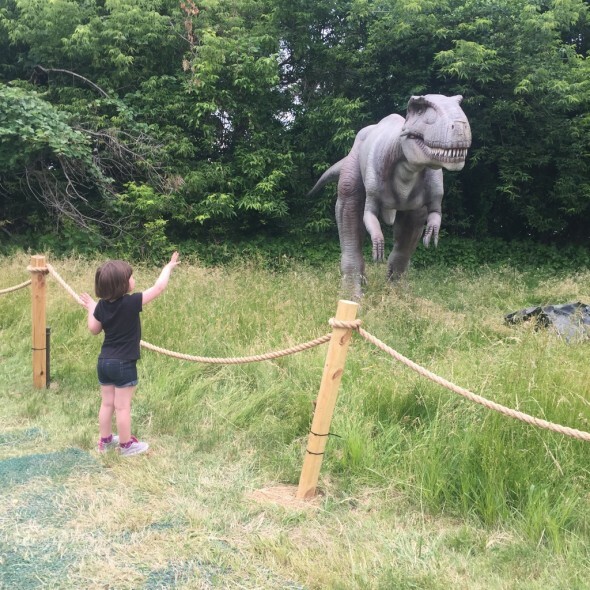 I kind of missed sneaking up on dinosaurs, and having dinosaurs sneak up on me, but my sensory kid loved the big open space. She loved that she could see where everything was up front, no surprises. She got her credentials again, and this time she got every stamp to become a super official paleontologist. 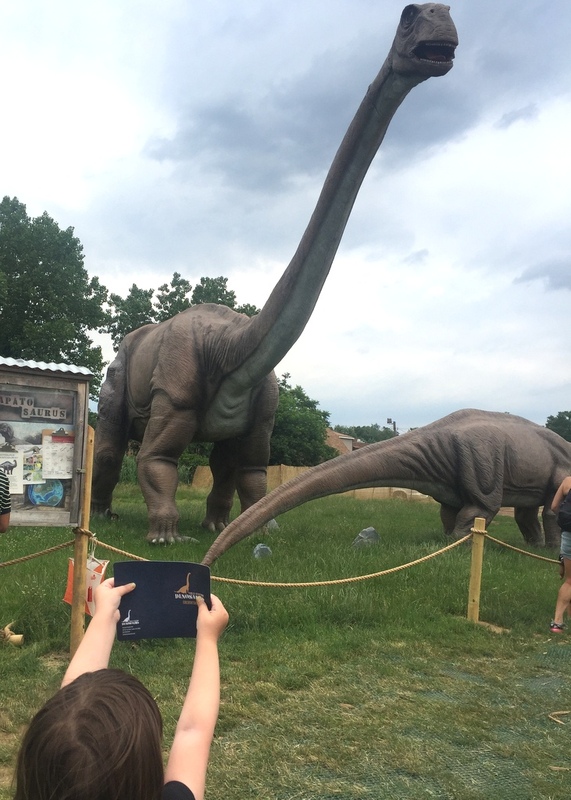 She showed her credentials to lots of dinosaurs along the route, so they would know she was official. 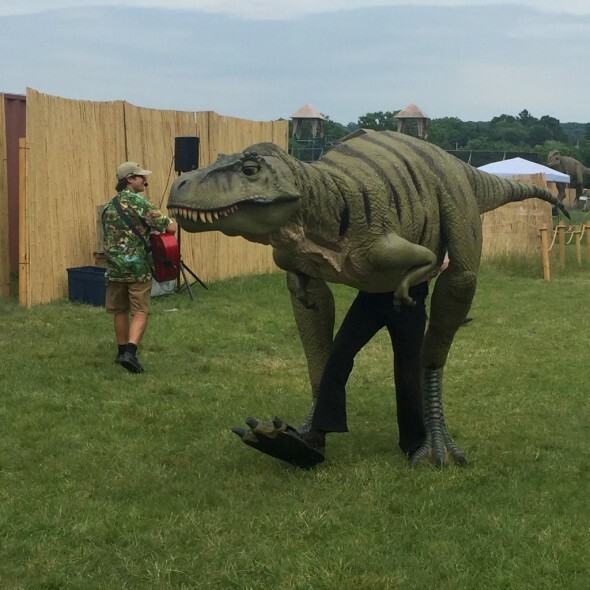 She did several of the activities offered as well, rather than just run from dinosaur to dinosaur. There was a lot of that, too. 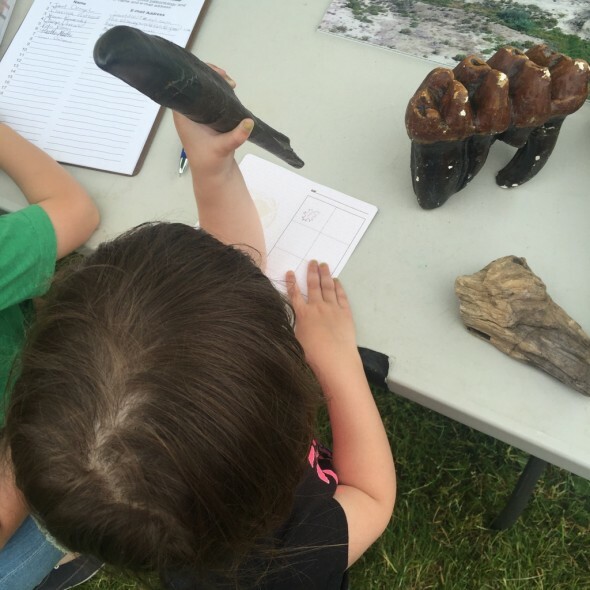 But she colored in one of the tents, she touched some real live fossils from the NJ State Museum, and she came upon some raptors destroying a camp. 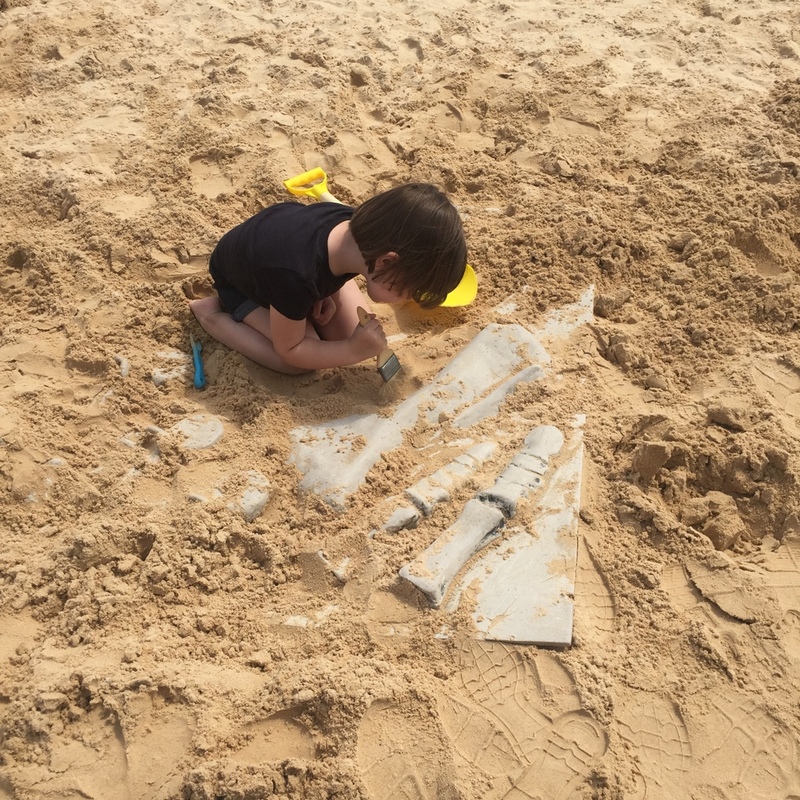 She must’ve dug for fossils in this sand pit for a good half hour. We ended with a performance in the amphitheater, which was a little surreal. But, this was a really fun weekend outing for the whole clan. She was really, really into it. And so were her parents.